What sets apart the work of these three Turinese makers from their many talented contemporaries? In part 1 we looked at the environment in which Turin’s three greatest ‘modern’ makers lived and worked. Here we examine the evolution of their styles over the course of their respective careers. In the later 19th century, European taste was still very partial to the work of Vuillaume, Gand, Georges Chanot and Bernardel. 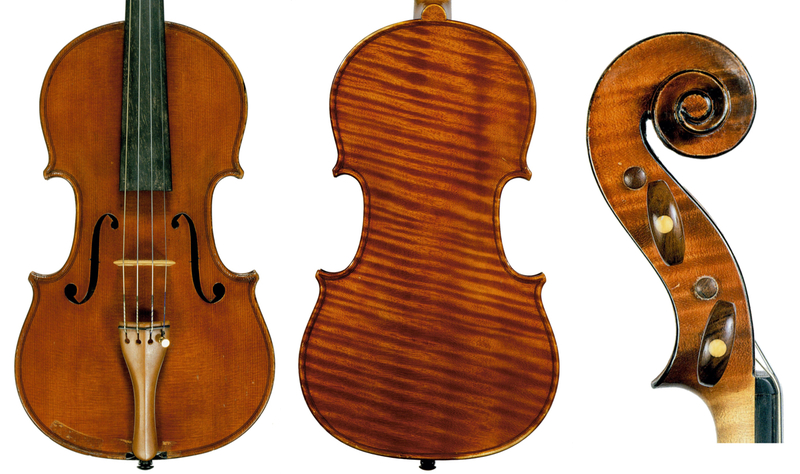 Naturally, Oddone’s style would gravitate towards the type of violin making he had seen at Chanot’s in London (see part 1), adding to it his Italian flair and conviction. His earliest instruments, already meticulously made, show an intelligent blending of the Franco-English school with his own innovative and free-styled model. This initially featured a flat Stradivarian model but with the added eccentricity of his signature, widely positioned soundholes, which are elegantly fluted, pointed at top and bottom, and curve noticeably in an almost Staineresque manner. Particular attention is paid to the edges, the workmanship of which is reminiscent of English and French work of the period – quite square and perfectly finished. Oddone is, however, better known for the instruments that date from after 1895. 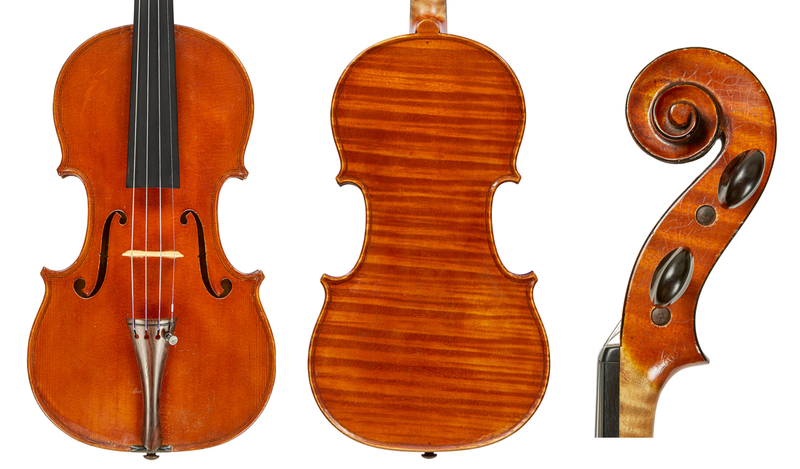 These introduce his unique but very convincing model, in which his earlier style is blended with the Guadagnini and Rocca models – particularly noticeable in his broad, flat archings. 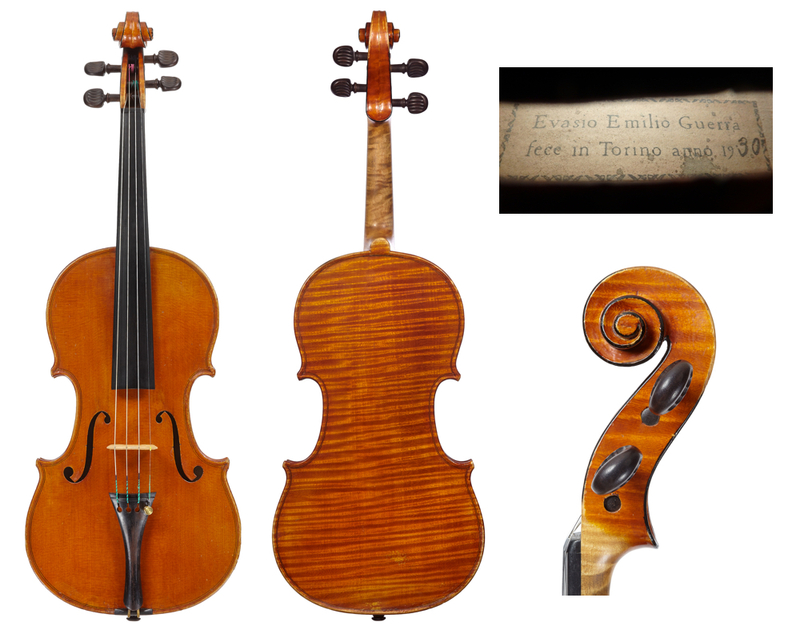 At this point Oddone also introduced his version of a Guarneri ‘del Gesù’ model. 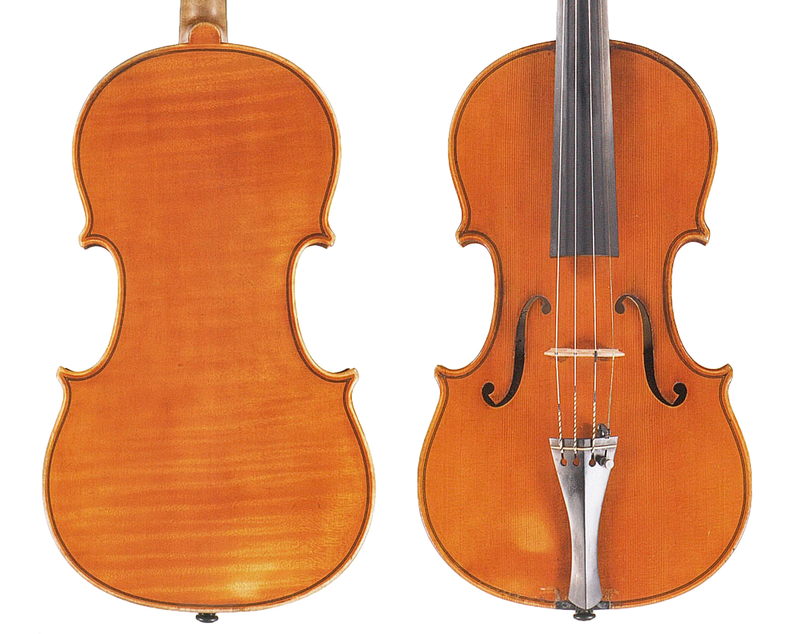 His edges also become more rounded, though the purfling still ends rather abruptly at the shortened corners – as appears to have been characteristic of his early instruments. Nevertheless, his instruments display a superior concept and skill regardless of the model employed. With time, Oddone’s work becomes increasingly uniform and seems to abandon the ‘del Gesù’ idea; instead, Giuseppe Rocca’s interpretation of Stradivari continued to be a major influence in his work. 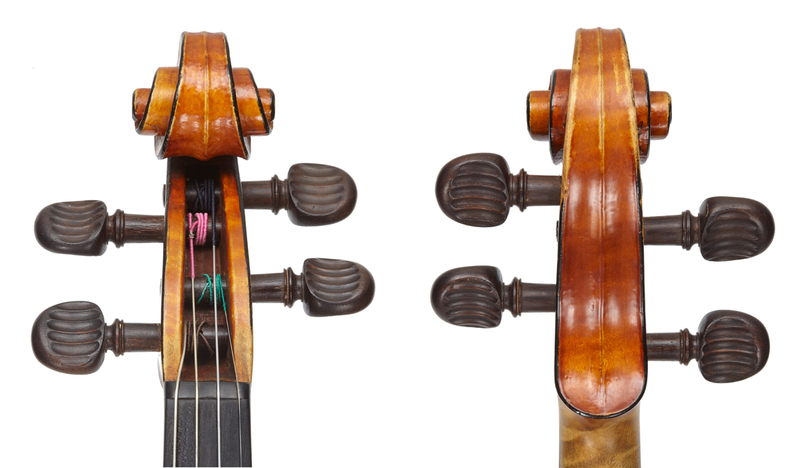 Along with the soundholes, the heads are especially characteristic: the short and stubby pegboxes are now consistently surrounded by a black chamfer; the strong and solid, round volutes are built without any hesitation and, though often lacking elegance, contribute to an overall feeling of power in these instruments; they are deeply carved and have a pronounced center eye. The purfling strips – very carefully and evenly inlaid – are rather close together and are set close to the edge; the purfling continues into a bee-sting toward the squarish corners, which with time become elongated. The varnish of his early instruments is thick and pasty, but gradually becomes more translucent; its color is generally yellow-brown, though some fiery red-brown examples exist. Some later, plain yellow instruments have a simple, spirit varnish. The woods Oddone used were, however, without exception of excellent quality and beauty. Much about Oddone’s mature work suggests that he sought to be entirely independent of whatever else went on professionally in Turin. 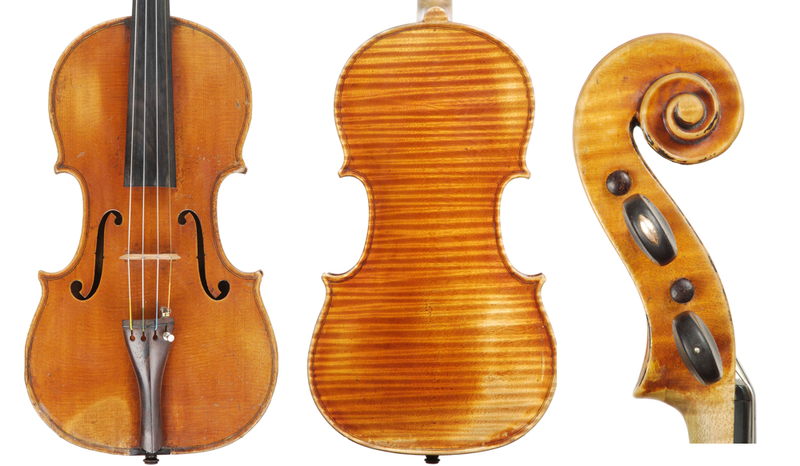 Unlike most later-19th- and 20th-century Turin makers, he rejected the Pressenda model; he also never made antiqued instruments or violas. He did away completely with the back pins used by his predecessors and most of his Turin contemporaries. His shapely back buttons are a little more oval than most of his contemporaries’ and add a touch of elegance to the otherwise austere outline. Oddone’s best work dates from 1898 to around 1915. After about 1925 it begins to decline substantially, no doubt influenced by the commercial aspects of increased production. It gradually loses inspiration and turns toward commerciality – a trend also noticeable in the production of his illustrious contemporaries, Marchetti, Fagnola and Guerra. Oddone branded his instruments externally at the bottom rib and internally on the blocks and often on the plates: ‘C. ODDONE TORINO’. His label never varied. All his instruments are numbered on the labels and he made about 270 in total; his cellos are rare but strikingly beautiful. 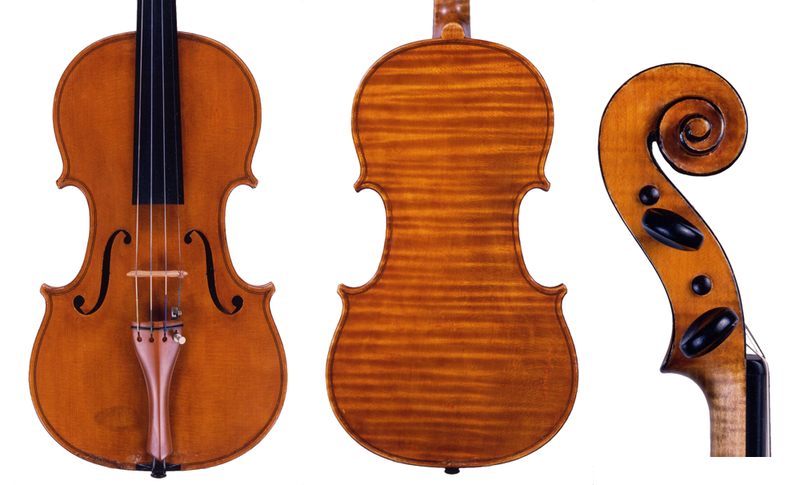 The modern violin market ranks Fagnola alongside the most significant makers of the modern Italian school – Enrico Rocca, Stefano Scarampella, Giuseppe Fiorini and Ansaldo Poggi – making a fine example of Fagnola’s prolific production one of the best investments in this area. 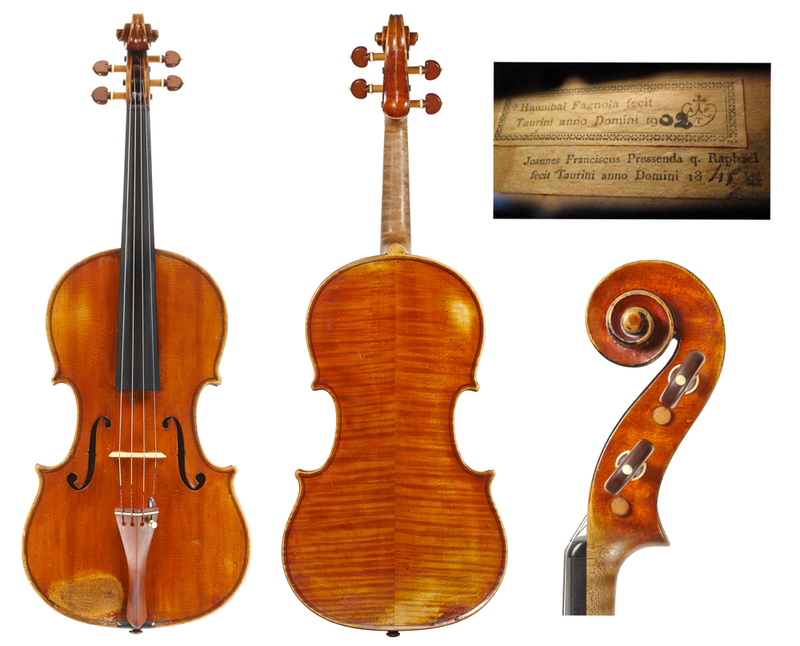 And although today the niche Fagnola’s instruments previously occupied among collectors and investors has widened, with some of his other great contemporaries gaining admission to the highest ranks, all the original hype about Fagnola is justified. He was one of the most capable and clever of all Italian craftsmen and produced some true masterpieces. Much has been written about the perfection and beauty of Fagnola’s best instruments. Yet one also hears increasing criticism of his less inspired, more commercial later production, as knowledge of other great makers from the period grows and collector-investors become gradually savvier, preferring instruments whose prices reflect their individual quality rather than just the maker’s name. In some of these instruments the varnish is chippy and brittle, the color tending towards the pink or slightly too deep a red; the scrolls are made with less care and artistry; the overall woodwork is quite cleanly executed but sterile; and they can be tonally boring. One encounters these more commercial instruments as early as the 1910s, but they are mostly associated with Fagnola’s later period, after 1930. All this suggests that the increased production of Fagnola’s workshop was made at least in part by capable assistants to satisfy the steadily rising demand for his instruments. Fagnola employed makers such as Riccardo Genovese and Evasio Guerra, who under his supervision were capable of emulating his model and style to near-perfection. The undeniable similarities between the work of Fagnola and Guerra, even though the latter was not one of Fagnola’s pupils, suggests that the two men had a strong personal affinity as well. Other less-talented pupils, Stefano Fasciolo and Fagnola’s own nephew Annibalotto, were probably used for more menial tasks. Mingled with the more commercial instruments, however, are some truly beautiful and inspiring examples, including ones from as late as the 1930s, suggesting that Fagnola continued to make superior instruments himself, presumably while sitting right beside his assistants. Thanks to a good number of such exceptional masterpieces, unsurpassed in their finesse of workmanship and spirit even by Fagnola’s finest Piemontese predecessors, Guadagnini, Pressenda and Rocca, he leaves a tremendous legacy in the field. The earliest period of Fagnola’s prolific career is little known. This period, 1898–1910, is also commonly associated with copies of Pressenda and Rocca that are so convincing that they have often passed as originals to many an expert eye, although in fact such instruments were more probably made just after 1900. However, he is certainly best known for his copies of Pressenda (whose facsimile label he would generally place just below his own) throughout his career. His other models, including those of Rocca, Guadagnini and the still rarer Stradivari and Guarneri copies, are normally less successful. 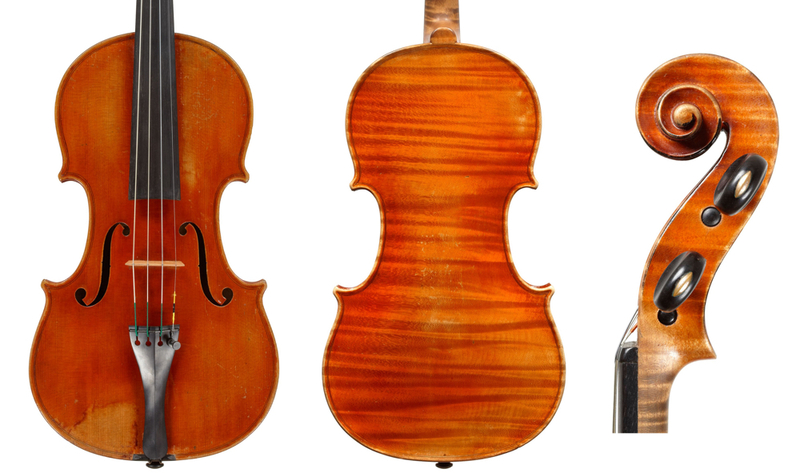 Though a great majority of Fagnola’s instruments are free from any artificial antiquing, a few of his Guadagnini copies are slightly and tastefully antiqued and their backs are also generally a few millimetres shorter than Fagnola’s standard back length of 355–356 mm. Fagnola adopted Pressenda’s primary characteristics in his work, including the ebony saddle inserted into the lower rib; the purfling piece set perpendicularly through the lower rib above and below the end button; the black line on the ridge of the black-chamfered scrolls, the backs of which often show a center scribe line; the back pins below the quite wide and notched buttons and on the lower backs, which usually touch the inside purfling; the thickly applied, lush and transparent varnish, often showing striking craqueleur, rarely seen on the work of his contemporaries; and the consistently pretty materials. 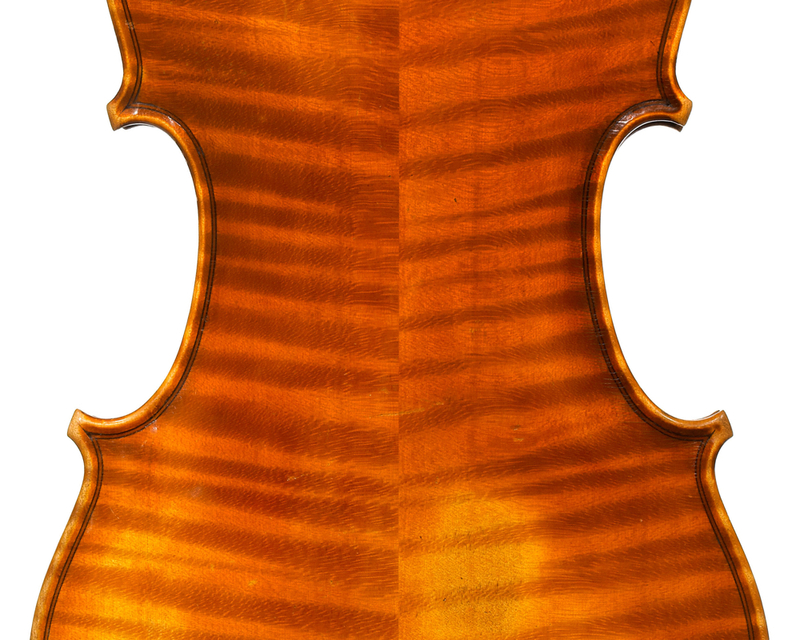 Fagnola’s necks usually bear a pencil mark dividing the neck in half, visible under the fingerboard. The dimensions of his violins are consistently perfect, rarely exceeding 356 mm. 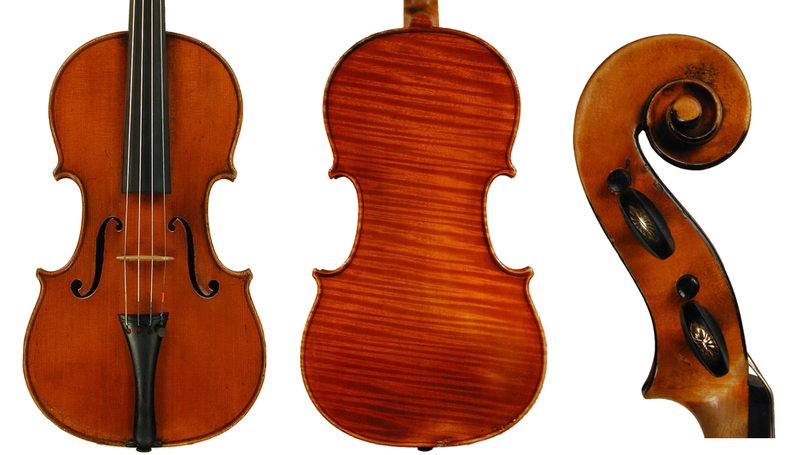 His violas, which in the spirit of Pressenda and Rocca rarely exceed 400 mm in length, are widened replicas of his Pressenda-modeled violins with somewhat shortened soundholes. As is the case with Fagnola, while some of Guerra’s personal production is rather ordinary, much of it is quite exceptional. Indeed, through the first quarter of the 20th century the bulk of it is consistently excellent. If Fagnola was the greatest 20th-century copyist of Pressenda, then Guerra was the one maker who best understood the Rocca model – unequaled in his beautifully conceived and finely executed copies of that maker – perhaps choosing Rocca in an effort to differentiate his own work from that of Fagnola and the instruments that he had for decades, at least in part, made for Fagnola. In his personal work Guerra did not necessarily replicate his subject to the minutest degree, omitting certain traditional Turin characteristics such as the pins on the back, as did Oddone and even Rocca’s son, Enrico. Guerra’s perfectly symmetrical, round scrolls are surrounded by a black chamfer – a detail seemingly indispensable to most makers of the modern Piedmontese school; they also generally have a pronounced line through the center. In all other respects Guerra’s work is in keeping with the traditions of the Turin school, of which he was the last truly first-class representative. Like Fagnola, Guerra occasionally copied Pressenda and G.B. Guadagnini, but these instruments, along with his occasional attempts to imitate the Guarneri ‘del Gesù’ model, are less appealing than his far more plentiful, straight Rocca copies. His copies of the 18th-century makers often have rather awkwardly antiqued varnish, impatiently applied, artificial scratches and wear patterns reminiscent of the style of Leandro Bisiach, but lacking Bisiach’s expertise. Guerra’s instruments from before World War II are refreshingly spontaneous, yet neatly executed. The thick, transparent, orange-red varnish generally glistens splendidly, though occasionally its texture may be considered too hard. His maple, though generally less visually striking than that of his two older colleagues, is acoustically sound. 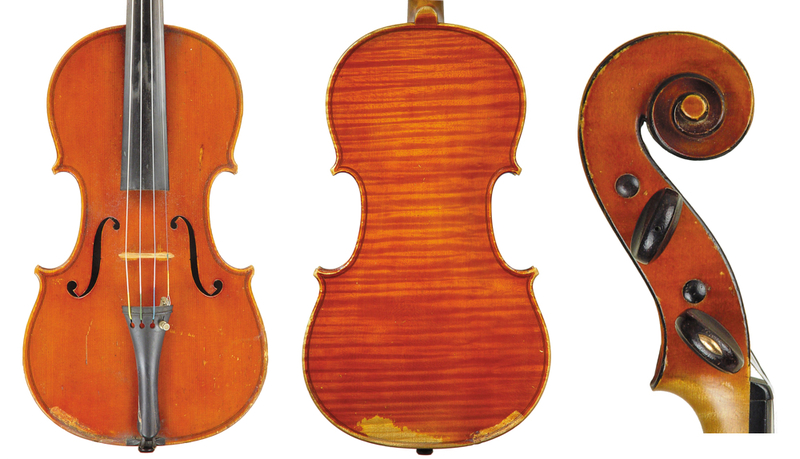 The period during and for some time after World War II unsurprisingly saw an overall decline in violin making in terms of production, its quality and materials. Guerra’s work from the war years is no exception, with instruments from this period somewhat decadent in appearance. They are generally of a dark red, almost dim colour and plainly wooded, though their model remains resolutely akin to that of the pre-war days. Instruments dated after 1945 are virtually unknown, probably due to his advancing age and the substantially reduced post-war demand. Unlike his other Piedmontese colleagues, Guerra made a fair number of violas but very few cellos. His instruments, like those of Oddone and Fagnola, have been widely imitated and faked. 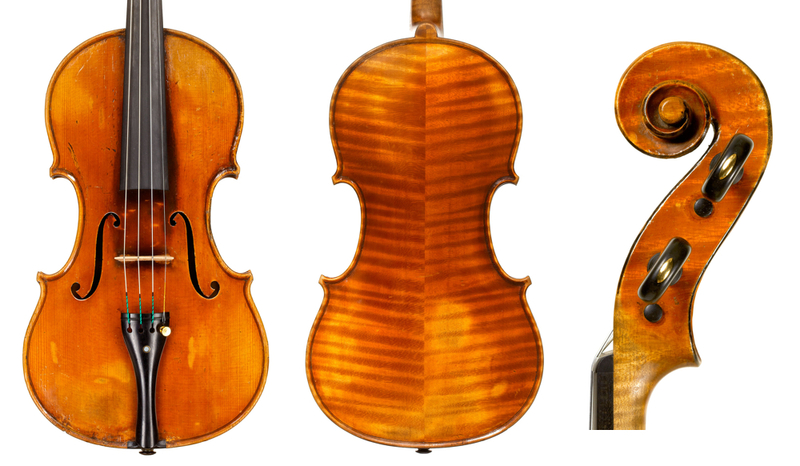 We have two exceptional violins by Oddone and Fagnola currently available in our Private Sales department. This instrument is one of the best examples of Oddone’s ‘del Gesù’ model that we have seen. To make enquiries, please contact Matthew Huber: mhuber@tarisio.com or call our London office on +44 20 7354 5763.